What does the 2019 Atlas have to offer? The 2019 Volkswagen Atlas is offered to drivers in an impressive thirteen different trim levels. Seven out of the thirteen trim levels are offered with Volkswagen’s 4MOTION all-wheel drive. There are also a few models that come standard with a technology package along with their standard features. The base trim level – S – is equipped with a 2.0-liter turbocharged engine while all the other models are built with a 3.6-liter V6 engine. Features for the base trim level includes features such as LED headlights, Blind Spot Monitor, Front Assist and VW Car-Net® App-Connect. Drivers who choose to go with the models that have the technology package will be provided with Adaptive Cruise Control (ACC), remote start, auto-dimming interior rearview mirror and more. Other standard features that shoppers can expect with the 2019 VW Atlas include an 8-inch touchscreen sound system, Climatronic® 3-zone climate control, panoramic sunroof, Park Distance Control, Overhead View Camera (Area View) and the VW Digital Cockpit. Along with all of these standard features and more, there are also available packages that drivers can choose to upgrade to. These available packages include the 2nd-Row Captain’s Chairs Package, 20-inch Black Triple 5-Spoke Alloy Wheel Package, Tow Hitch Package and Homelink® Package. 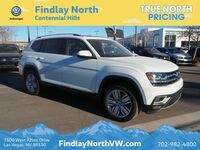 The 2019 Volkswagen Atlas is just one of many different Volkswagen vehicles that we have to offer here at Findlay North Volkswagen. 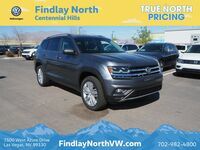 If you are interested in learning more about what the VW Atlas or any of the other vehicles we have to offer, be sure to stop by the dealership today or contact us!